A study published by Stanford University found that nearly three-fourths of customers formed judgments about a company’s credibility merely based on their website’s design. As a matter of fact, it has also been studied that the average consumer takes anywhere between 50 milliseconds to 7 seconds to form an opinion about your site. A clear, mobile-responsive site is definitely the first step in establishing trust among your website visitors. But that is only the first step. There are other factors that define whether or not a visitor will trust your website enough to convert into a lead or a paying customers. Here are a few factors to keep in mind while designing a trustworthy business site. Most business websites do have an About Us page. But this is not enough to inspire trust. The first step in the process is to consider your audience and choose a language and communication that relates with them. An ‘about us’ copy targeted at software geeks needs to be a lot different from one targeted at coupon-hunters. In addition to this, experts suggest that your ‘about us’ page should steer clear of superlatives. Instead, make use of facts and figures to present your business credentials to your audience. This could include details about how big or small your organization is, whether it is listed on a stock exchange, how long you have been in business, the location of your headquarters, your contact numbers, and why your organization is best at what it does. Blogs are by far the most effective strategies to build authority online. They help you communicate with the reader and provide them with industry insights that they may not already have. Consequently, the businesses with the most successful blog strategy are those that have a defined content strategy and execution plan. The first step in the process after you create a blog is to define your content pillars - these are the foundational topics that your blog will focus on. Pick content pillars that add value to your target group. Also, make sure that each of your posts cover the topic comprehensively with adequate research. The objective here is to make your blog the ‘go to’ destination among your audience looking for information on your industry. If the objective of your business site is not just to generate leads, but also convert visitors into paying customers, then it is very important to focus on trust badges. Trust badges are essentially the logos of financial and security service providers that you are integrated with. This includes organizations like Mastercard, Visa, Paypal, Norton and McAfee. One study published by the CXL Institute found that customers tend to be most familiar with trust badges from Mastercard and Visa while Paypal was the most trusted brand. Among security providers, Norton was the most familiar as well as trusted. While it is common for businesses to showcase these trust badges at the footer of their websites, that may not be enough. For best results, it is a good idea to prominently communicate to the visitor that their payments shall be processed over a platform like Paypal while your site is virus-free thanks to protection from software like Norton. This gives your visitors the much needed assurance that your site is safe for transaction. One of the biggest disadvantages of shopping online is the inability for a customer to touch and feel the product that they want to buy. Given the growth of internet over the past few decades, this resistance to purchase online has largely come down for most sites. 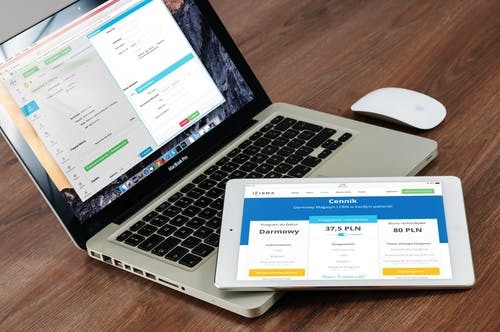 However, while customers do not worry about transacting on the websites of market leaders like Amazon or eBay, they may still hesitate with processing a transaction on a lesser-known website. To fix this, it is vital for your organization to have highly customer-friendly payment policies. This could include free trials (for digital products), pay-on-delivery processing systems (for local businesses), a ‘no questions asked’ refund policy and money back guarantee. It is also recommended that you showcase these policies prominently on your business checkout page. This strategy helps bring down resistance during the payment process thereby increasing conversion. What other strategies has your business deployed to improve trust online? Share with us in the comments.